I am a fifth year PhD student at UC Berkeley advised by Eric Paulos. My current research focuses on how digital fabrication tools can engage opportunities for human judgment, skill, and creativity during the fabrication process itself. 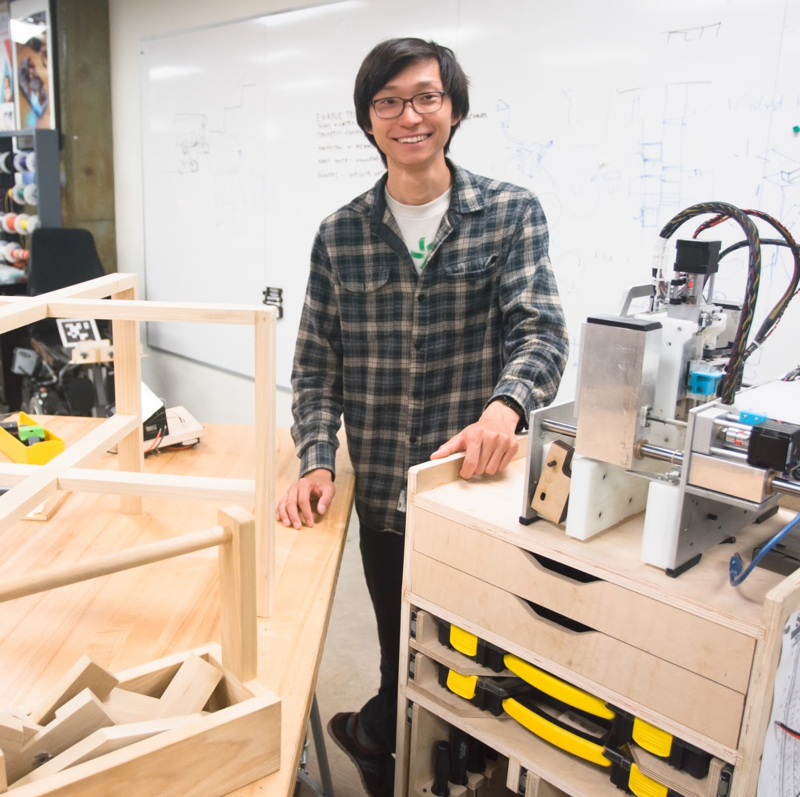 To explore these ideas, I build and evaluate interactive systems that embody novel workflows, interactions, and capabilities for digital fabrication. As an undergraduate at Berkeley, I was involved in research with the Poly-PEDAL Lab with Robert Full and the Berkeley Laboratory for Automation Science and Engineering with Ken Goldberg. Collaborated with a multi-disciplinary team to study and model novel insect dynamics. Designed, fabricated, and tested modular robots that mimic the righting strategies of a winged cockroach. Created fixtures and experimental setups for the RAVEN surgical robot. Developed novel methods for quantitatively and qualitatively evaluating the accuracy of a robot without joint encoders. Designed a human operable 3D printed PR2 gripper ('glove') to gather learning from demonstration data through computer vision. Overhauled the mechanical and electrical design of a device that quantitatively measures the 'pace' of a tennis court. Created a system of ad hoc light gates to capture before and after bounce velocities of a tennis ball when it impacts a court. How to build a low cost laser air particle counter, aerosol test chamber, and monodispersed particle generator. Designed and prototyped interactive systems to explore the concept of 'digital companions' for personal fabrication. Automated various repetitive web and print publishing tasks. Filmed interviews and photographed events for campus websites and publications.